Press releases can be extremely useful if you use them correctly. In today’s article, we’re going to break down exactly how and why you should be using press releases. A press release is an article to be “released” to the press. It usually covers an event such as the launch of a new business, a new feature, or something newsworthy that’s happening. After the press release is written, you can syndicate it to news organizations so that they can either publish it as is or create a new story around it. 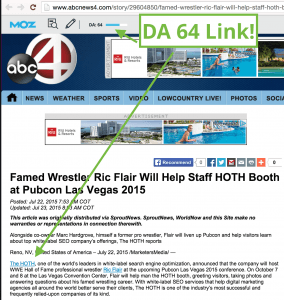 This results in your brand, news, and website getting covered (with links!) on hundreds of high quality real news sites. 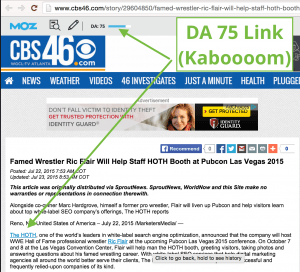 What kinds of links do you get when you submit a press release? The links you get from publishing a press release are fantastic. They are from high quality real news sites, often with Moz Domain Authority of 20-90+ (very powerful). 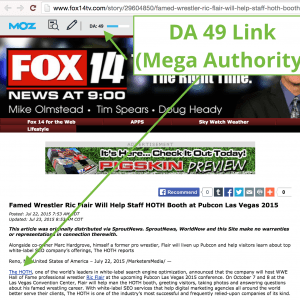 As you can see, you can get some very high domain authority links back to your website. With this kind of distribution through major new channels like the Associated Press, Lexis Nexis, and more, you’ll get hundreds of these high quality links on real, powerful news sites like the above. What are these links good for? Every site needs some links to start, and these links will give you awesome diversity from real sites. This happens naturally in the real world – a business is started, a press release gets seeded to major news publications, they pick it up and the website starts getting links. That’s exactly what we’re doing here. The press release will give your site an authority boost and high quality credits in Google’s eyes. One of the biggest reasons that SEO’s worry about rankings is because of previous penalties. One of the major penalties that websites experience today are Penguin penalties from having too many links with direct anchor text. Press releases are the perfect way to get hundreds of these natural anchor text links and diversify your portfolio. That way, when you go to build other links like high domain authority links or guest post links, you won’t have to keep track of your anchor text as much. That’s just about it for Press Releases. If you have any questions, leave them in the comments!